Are you looking for a unique gift for that person keen to learn pipes or drums? We have gift certificates for lessons, and advice on where to buy your equipment to begin. Get in touch anytime - makes a lovely gift any time of year! 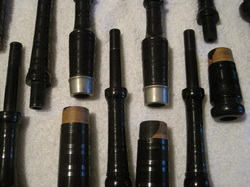 Introducing a new online subscription service to provide aid and instruction in many areas of the Celtic Arts - from Ottawa to Edinburgh and all points in between, visit the new Ottawa City Piping College page to see how you can sign up and get the most out of your piping, drumming, song and dance experience with lessons, website suggestions, and help in all areas. We hope to see you there! The Sons of Scotland Pipe Band's annual trip to Scotland in 2015 was incredible. The band had the great opportunity to perform for the first time in Dublin, where they did shows in support of Mansion House's 300th anniversary, they busked on Grafton Street, and did a double decker bus performance sponsored by Dublin Bus Tours which included a stop at the Jameson Distillery and Guinness Storehouse, and this made for a memorable day indeed. The rest of the time the band stayed in Edinburgh where they did many shows including performances at Edinburgh Castle and the Palace of HolyroodHouse, on the famed Royal Mile as part of the Fringe Festival, and in Glasgow at both the World Pipe Band Championships and in the pre-Worlds parade held by the Royal Scottish Pipe Band Association. 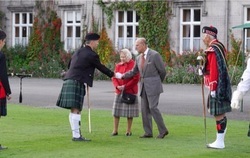 The band was also guests of the Canadian Massed Pipes and Drums who invited them along to perform in a show celebrating the 200th anniversary of Sir John A. MacDonald's birthday at a private performance for Her Majesty The Queen and the Duke of Edinburgh at Balmoral Castle. It was a tremendous opportunity, and everyone in the band and our guests had just a wonderful time. For information on how you can be part of future trips, please email Pipe Major Bethany Bisaillion at sospb@sospb.com and to donate to the band's work, get in touch anytime. Thank you! 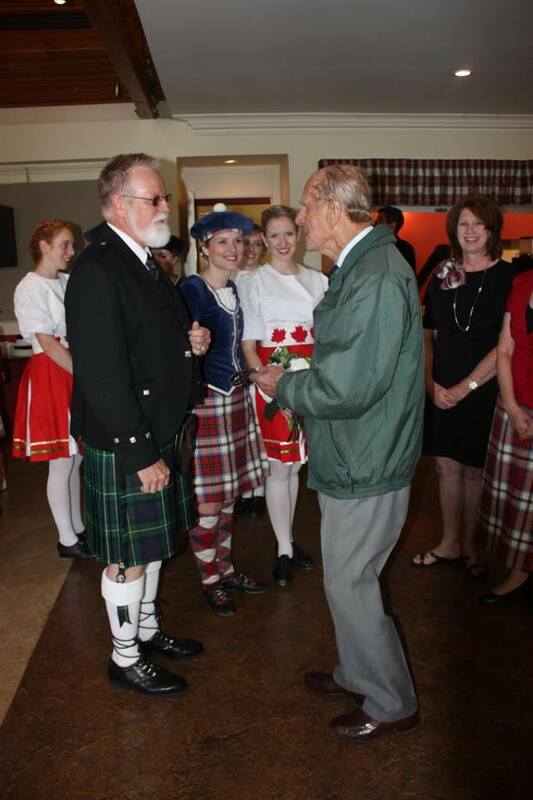 Visit this link to watch PM Bisaillion on Canada AM speaking on her visits with Her Majesty The Queen with the many members of the Sons of Scotland Pipe Band and their wonderful dancers and guests. An honour. 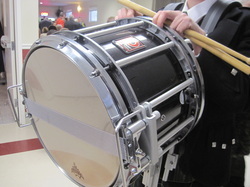 ​ for details on lessons and required equipment - it's terrific fun to play in a pipe band. This makes for a great present too....a gift certificate for lessons is available! 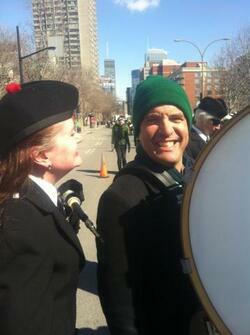 West end Ottawa piping and drumming lessons and tuition in Montreal now offered - excellence and fun guaranteed! 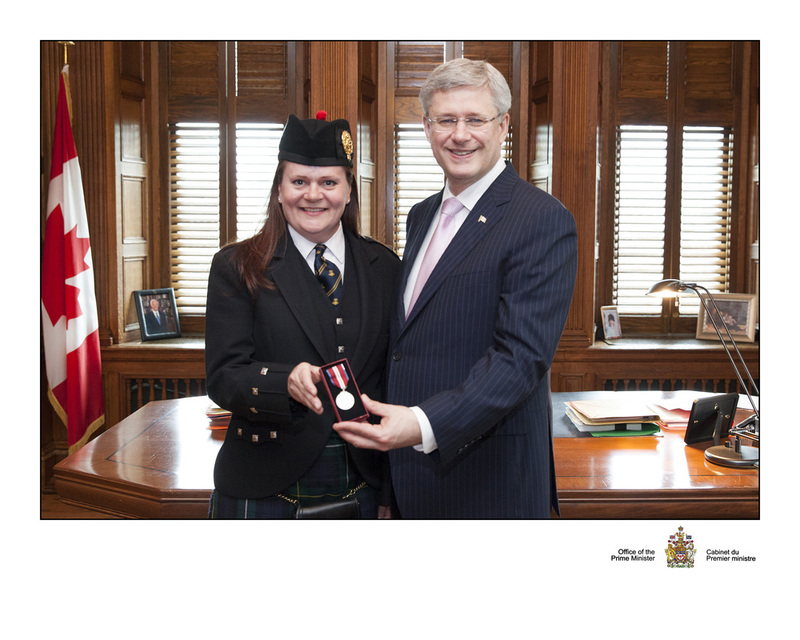 The band of the Sons of Scotland were proud to be presented with the Caring Canadian Award in April, 2014 by their Vice Regal Patron, Canada's Governor General David Johnston at a ceremony at Rideau Hall. 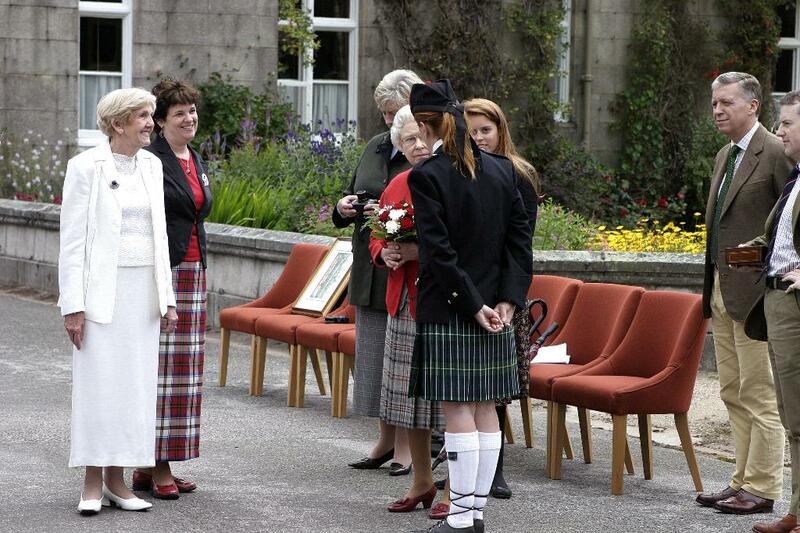 The Pipe Majors were both given medals for their roles in supporting music and leadership, Band Manager Robert Derry for his many years in the educational system, Margaret Duffy for her help with seniors and veterans in the community, and dance teacher Katharine Robinson for over 45 years of highland dance instruction. What a great honour this day was, and the band wears and shares the pins amongst its membership very proudly. Pipe Major Bethany Bisaillion was awarded the Queen's Diamond Jubilee Medal in a ceremony on Parliament Hill in Ottawa by Canada's Prime Minister Stephen Harper. Her speech was read in English and Gaelic. If you are looking for a good quality set of used bagpipes at a good price, drop me a line at bethany.bagpipes@sympatico.ca All come ready to play and in great condition. ​We also want to hear if you have pipes for sale. 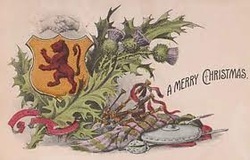 If you want to support the work of the Sons of Scotland Pipe Band, please visit the site at www.sospb.com to see the band's work, and email PM Bethany Bisaillion at sospb@sospb.com for more information. The band looks for support for their work in many ways. We have PayPal on the site now making donating even easier! We appreciate your support. 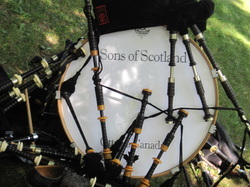 For information on upcoming piping and drumming events, please visit the Pipers and Pipe Band Society site at www.ppbso-ottawa.org and be sure to come out to support your local musicians. 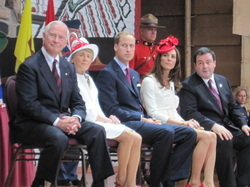 A terrific concert held on Parliament Hill in Ottawa to mark the 60th year of Her Majesty The Queen as our monarch. Thank you to everyone who came to take part ~ your support and participation were very much appreciated. Please visit the Sons of Scotland Pipe Band site at www.sospb.com for photos and video of the day's events. The Sons of Scotland Pipe Band's terrific drumming and piping program is accepting new players this year. Drop us a line if you want to come out at sospb@sospb.com All levels and ages welcome. The Sons of Scotland Pipe Band is always looking for new players. if you're keen to come out and join up with the Sons, drop us a line at sospb@sospb.com - Canada's oldest civilian pipe band celebrating its 120th anniversary in 2016. There is a new site with 7000 pipe tunes for everyone to use free of charge; visit www.ceolsean.net to see what a great resource there is available. 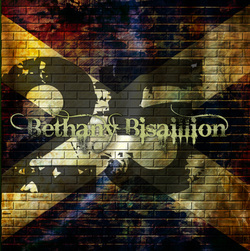 Bethany Bisaillion released her 15th cd on October 19, 2012 and it is a compilation cd with performances by herself with many fine musicians and solos from other projects - preorder yours today for only $15.00 with part of the proceeds going towards supporting the Ottawa City Piping College. 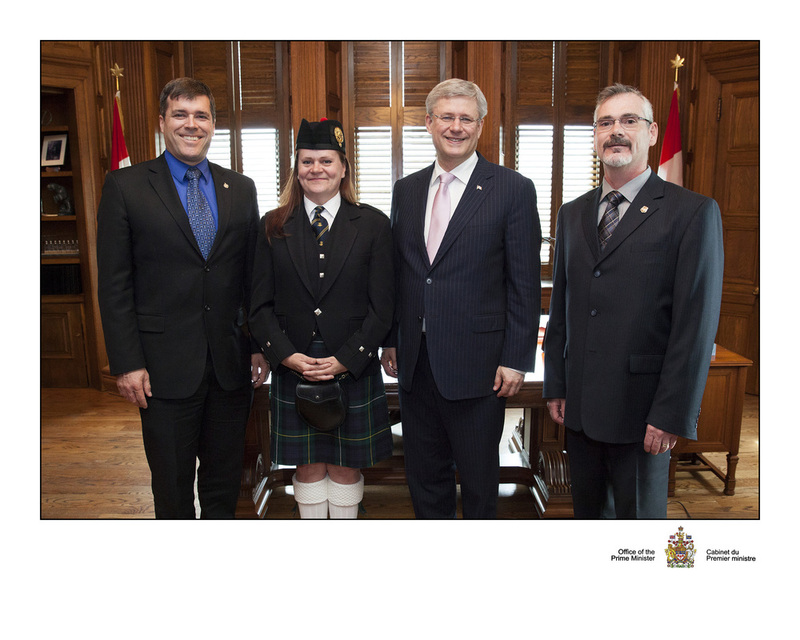 Email bethany.bagpipes@sympatico.ca for your copy today - a limited number will be available. ​Bethany also has a highland dance cd with 40 tracks from fling to Earl of Errol, varying speeds and all on bagpipes - 'Isean' is only $15.00 and will help with practice and presentation! 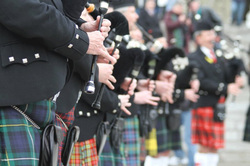 Visit the new, revamped Pipers and Pipe Band Society of Ottawa's website at www.ppbso-ottawa.org for information on piping and drumming in the Ottawa region. The Gaelic Society of Ottawa is always looking for new members; visit them at http://www.gaidhligottawa.ca/ for more information on this great group of people. Each August the members of the Sons of Scotland take a trip to Scotland to play and compete. They perform at shows in spectacular venues, for large and appreciative audiences, and they truly represent Canada well. 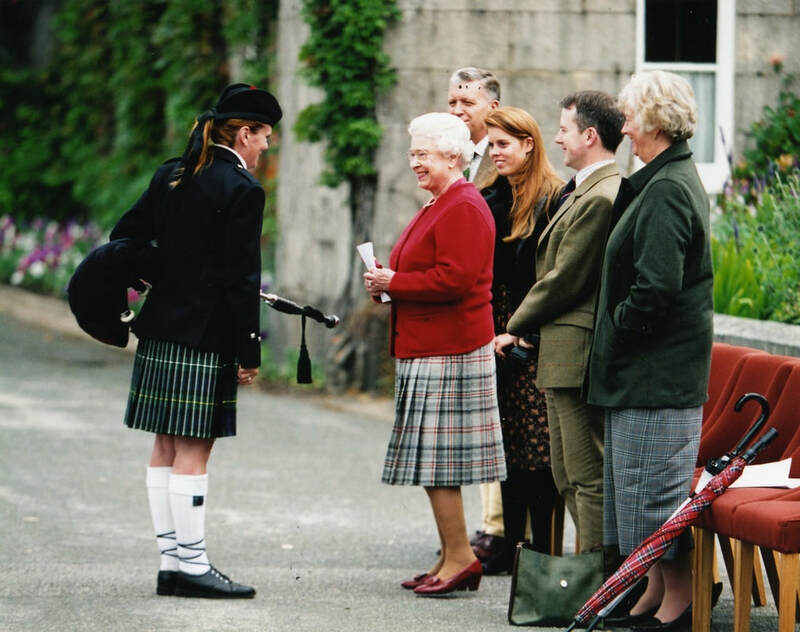 Guests, highland dancers and other pipers and drummers are welcomed to enquire as to traveling and even performing with the band on their summer journey to Edinburgh, Glasgow, Stirling and beyond - each year has different cities that we visit, making each one unique. ​ Contact them at sospb@sospb.com for information on how you can come along to Scotland and Ireland with this great group of folk! Pipe Major Bethany Bisaillion was pleased to be part of the Canadian Citizenship ceremony held July 1 at the Museum of Civilization in Hull, Quebec. She played and presented the tune 'St. 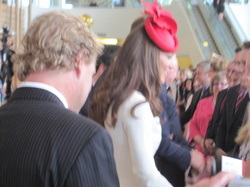 Andrew's Courtship' for the Duke and Duchess of Cambridge. Pipe Major Bethany Bisaillion is pleased to announce the Sons of Scotland Pipe Band of Ottawa played for and presented gifts to the Royal Couple during their visit to Canada. 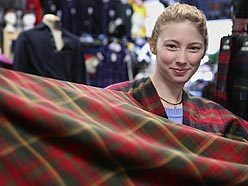 OTTAWA, ONTARIO--(Marketwire - Oct. 21, 2010) - The Honourable James Moore, Minister of Canadian Heritage and Official Languages, announced today that the Government of Canada will now officially recognize April 6 as Tartan Day.